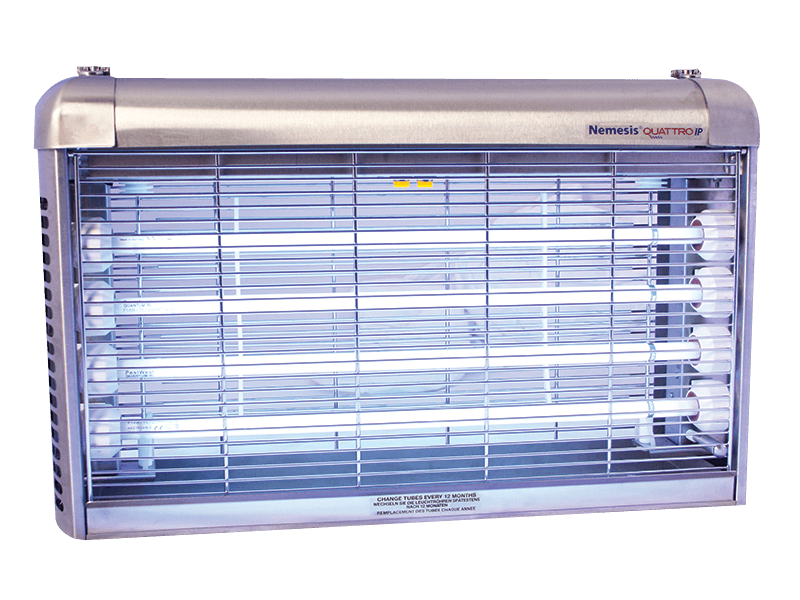 The Nemesis® Quattro Quattro IP24 is an all stainless steel industrial model, which can withstand exposure to high humidity, water splashes and corrosive atmospheres. It is both powerful and energy efficient, featuring new high efficiency UVA tubes powered by a state of the art electronic ballast for optimum fly control performance with low running costs and reduced materials (glass and mercury notably). It is equipped with ‘power-on’ and high voltage LED indicators, the killing grid is extractable and the front guard can be locked in open position, which all contribute to the overall ease of servicing.